The York Community Stadium, the future home of York City Football Club and York City Knights Rugby League Club, is set to open in time for the 2019-20 Football League season. Currently under construction in Huntington, York, the venue will have a capacity of 8,000 and will be part of a mixed-use development. As well as the stadium, the project will feature a Cineworld cinema complex – with IMAX screen – five restaurants and a leisure centre and community hub managed by GLL, with swimming pool, gym, dance studio, sports hall and indoor and outdoor climbing facilities. There will also be three retail units and an NHS outpatient service and library. Work on the stadium – led by Buckingham Group Contracting – has now reached the stage where steelwork for the West Stand has commenced and the cladding is being added to the leisure centre. Jon Flatman, owner of the York City Knights, hopes that the stadium will host games during the 2021 Rugby League World Cup when it is staged in England. York City FC's current home, the Bootham Crescent Stadium, has been home to the club since 1932. 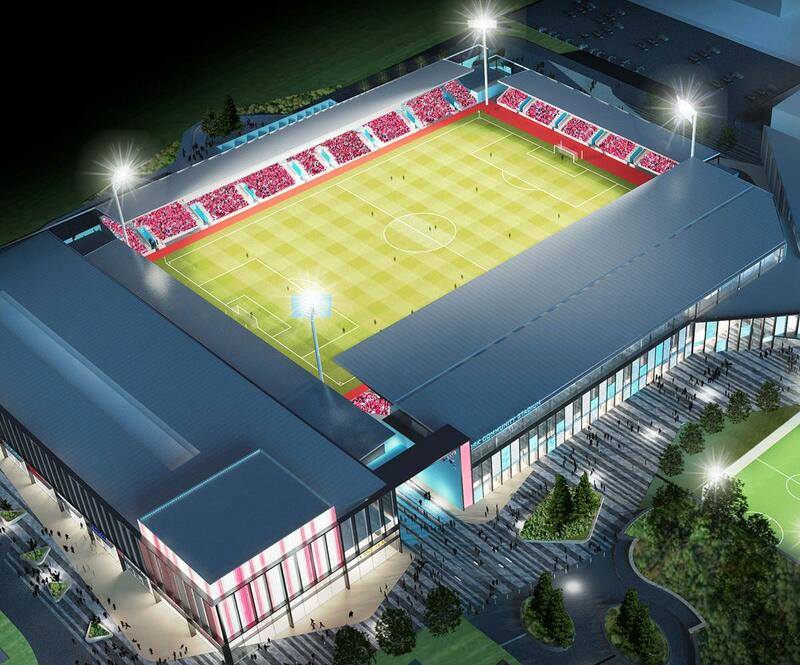 The site is set to be turned into a residential site following York City FC's relocation after the 2018-19 season. York Community Stadium, the future home of York City Football Club and York City Knights Rugby League Club, is set to open in time for the 2019-20 Football League season.